Hi all, I have a lot of software on tape for the Lambda 8300, but i cant load it, the quality is not good after many year, is somebody interesting to help with renovating some of it? then i can upload it. I also have a lot of hardware, 3 computers, 2 colorpacks, 3 memory, 1 printer and monitor. Yes, just make 'wav' files and add a link to the uploaded files. It's always lovely with new Lambda 8300 owners in these forums, as very few have them. 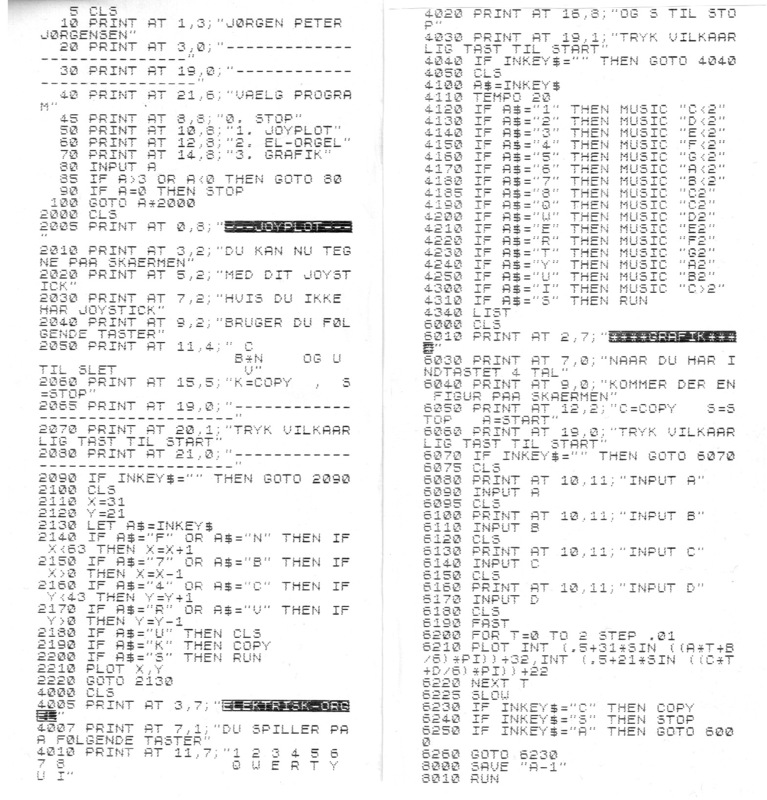 The only software I have seen for Lambda 8300 is new software that is crosscompiled for Lambda 8300 as well as for ZX81. I have not tried a piece of software that was released for the Lambda 8300, so I look very much forward to see what you've got. My Lambda 8300 collection is a broken Lambda 8300 and a working PC8300. I too am looking forward to working with those .wav files, hoping my "Scrubber-Dubber" gizmo can retrieve questionable images and write cleaner copies. Like you mrtinb, I have zero "native" software for my "Your Computer" (what an insipid name) version of the Lambda. This is very exciting. Just don't set the volume so high that the waveform gets clipped. Moderate volume is best. Let me know if you can see the files. Yes I can see the files. Just for Information, I'm not working on the conversion. That is great you can see them, i have now uploadet 21 programs, i have more, but i think it is a good start. I went after the .wav images with a sound editor, and "cleaned up" Programs 1, 2, and 4 to a point where they will load reliably to my Lambda. ... and here is an example of a dropout. In the majority of cases I can repair a partial dropout, but in a select few I can't tell what the data was supposed to be. I guess. The program loads to the end (after repairs are made), but then disappears, presumably because it didn't pass the checksum test. I guessed wrong, apparently. Still working on Number 3. Here are the three that load okay so far. I don't suppose someone would undertake to clone English-instruction versions of these games? I've almost got it read in Eighty One. Last edited by mrtinb on Fri Dec 14, 2018 10:11 pm, edited 2 times in total.